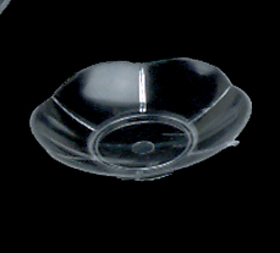 Approx 2" clear plate, favor cup to hold Jordan Almonds or candies. Make your own favors! Tulle, ribbon roses and custom printed ribbons all sold separately.